With 4mm needles (UK size 8) cast on 140 stitches. 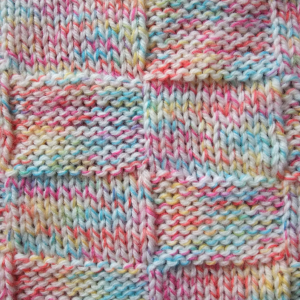 Continue with this pattern until blanket measures approx 24 inches. 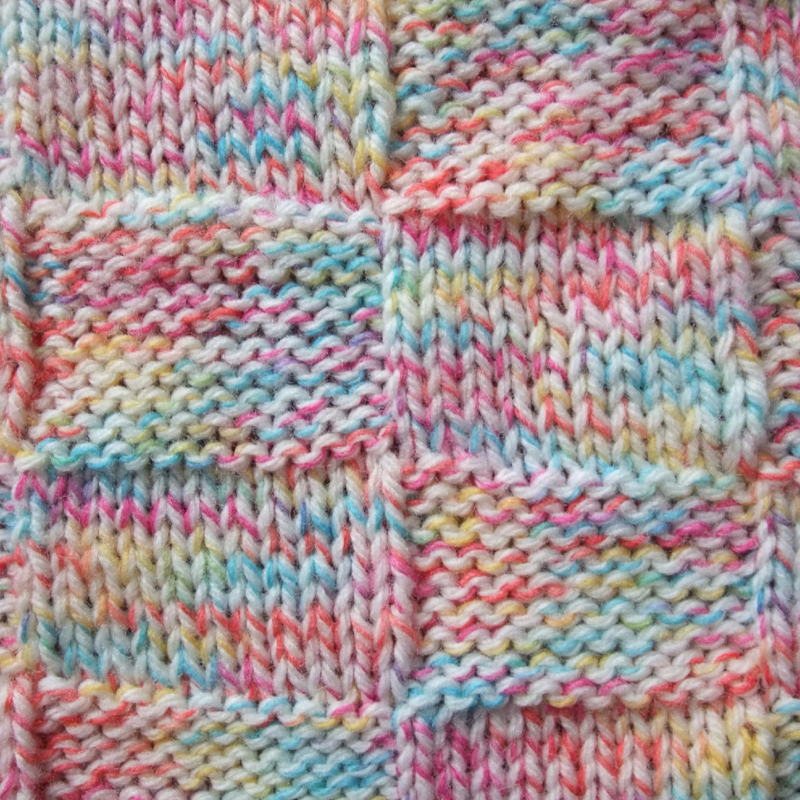 Knit final 10 rows. Cast off.